Did I tell you or did I tell you? The Chase Southwest credit card that took that 50K-mile bonus out of circulation over a month ago, finally brought it back in. There are four different offers featuring this bonus, and theoretically nothing prevents you from getting all four bonuses, but! This is Chase. Don’t go crazy and try anything beyond one personal and one business at a time. Then rinse and repeat. Or repeat without rinsing. 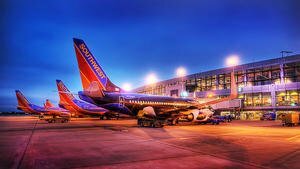 Chase Southwest is fantastic beyond the bonus. The moment you “earn” 110,000 Southwest points, you qualify for the Southwest Companion Pass. What’s a Companion Pass? It’s pure madness, that’s what! The pass is an insanely great deal, as it allows you to book an additional ticket for free, no matter how you pay: with cash or points! Your companion will be able to fly free with you until the end of the next calendar year after you qualify! Good stuff, right? Please navigate to Free Flights for updated links. ← Carnival Cruise out of New York: 8 days for $299!